The perfect lucky charm to wear on your travels. 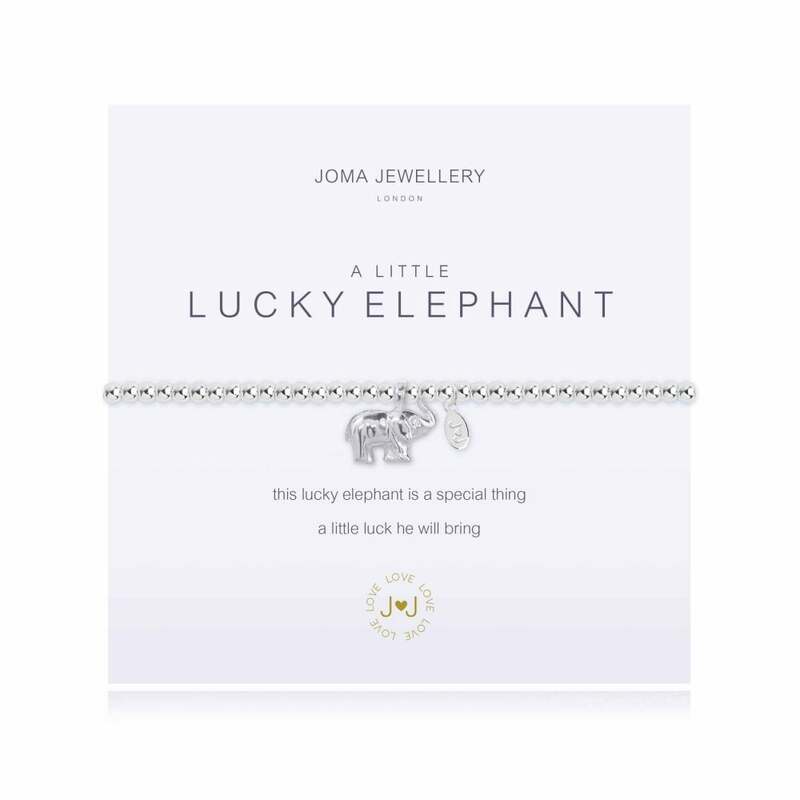 This Joma Jewellery bracelet reads 'This little lucky elephant is a special thing, a little luck he will bring'. This Joma Jewellery A Little Lucky Elephant bracelet is the perfect token of good luck for anyone traveling to a faraway exotic country. With its little silver elephant charm, this bracelet encompasses the feel of overseas cultures, as well as acting as a lucky charm that you can take anywhere in the world with you! All Joma Jewellery is silver plated 3 times, strung with elasticated silk and made with real crystals, stones or pearls. A stylish gift, a quality silver plated string of beads with a special charm, fab worn on its own or stacked with all your favourite A Little bracelets. Beautifully presented on a simple white Joma Jewellery card, this bracelet makes the perfect birthday present! Adult Elasticated Bracelet full length 17cm approx."